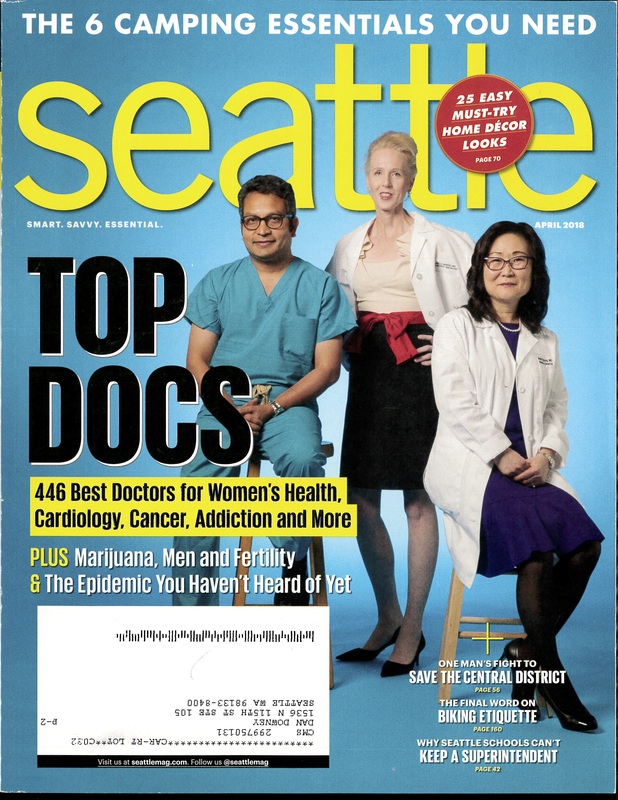 Dr. Downey Picked as 2019 Top Doctor in Plastic and Cosmetic Surgery in Seattle Magazine! For the twenty third (!) time, Dr. Downey was selected by his physician peers as a Top Doctor in Plastic Surgery. This time, Dr. Downey will be listed in the 2019 April issue of Seattle Magazine. The selection methodology is rigorous and cannot be influenced by the nominated physician. The basic question is: “Which doctor would you select to care for you or your loved ones?” Dr. Downey is happy and honored to be selected again. His goal is to offer unique, personalized plastic surgical care, and to collaborate with his patients and their doctors and families to deliver a coordinated, quality surgical experience.